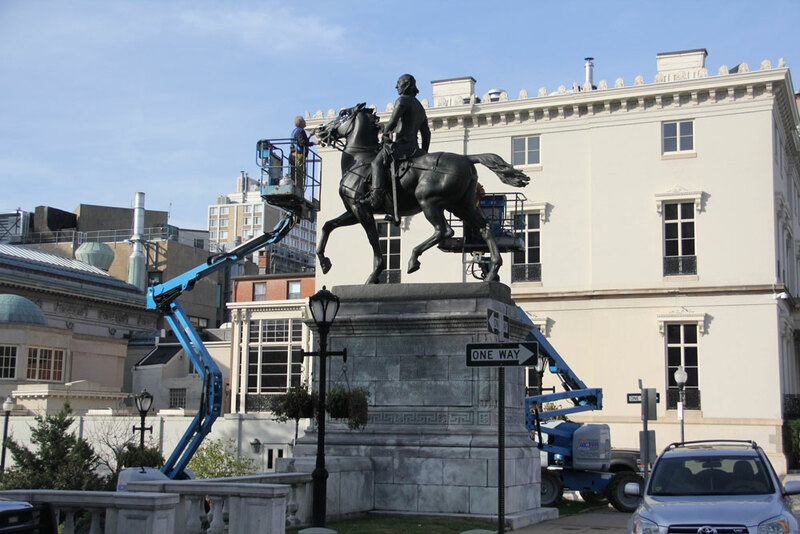 Baltimore has long been known as the "Monumental City" and was the first municipality in the United States to design a comprehensive program for the conservation and preservation of its outdoor monuments. The Baltimore City Commission for Historical and Architectural Preservation (CHAP) implemented this program design and coordinated this effort for more than three decades. The city of Baltimore contracted B.R. Howard to provide condition assessments and to conserve 22 bronze and stone monuments and fountains throughout the city. Each sculpture or monument had its own unique set of challenges, but with much research and planning BRH was able to formulate adequate solutions for each circumstance. Lifts and scaffolding systems were needed to complete much of the conservation work. Masonry was cleaned, stabilized, and color matched and repointed where necessary. 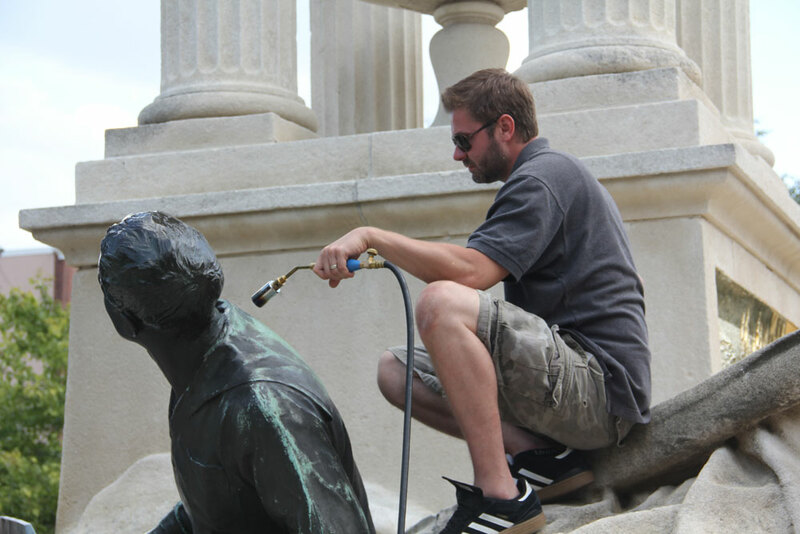 Bronze monuments were cleaned and either locally chemically re-patinated or fully re-patinated. A mixture of specially formulated hot waxes were applied with torches and buffed followed by cold wax treatments. Other monuments containing elements of painted steel were chemically or stripped or abrasive blasting techniques were employed to remove failing paint layers before new zinc rich epoxy primers and protective paint coatings were applied. Some of the monuments featured gold leaf elements that needed to be re-gilded. All treatments were photo documented and performed by conservators following AIC guidelines.